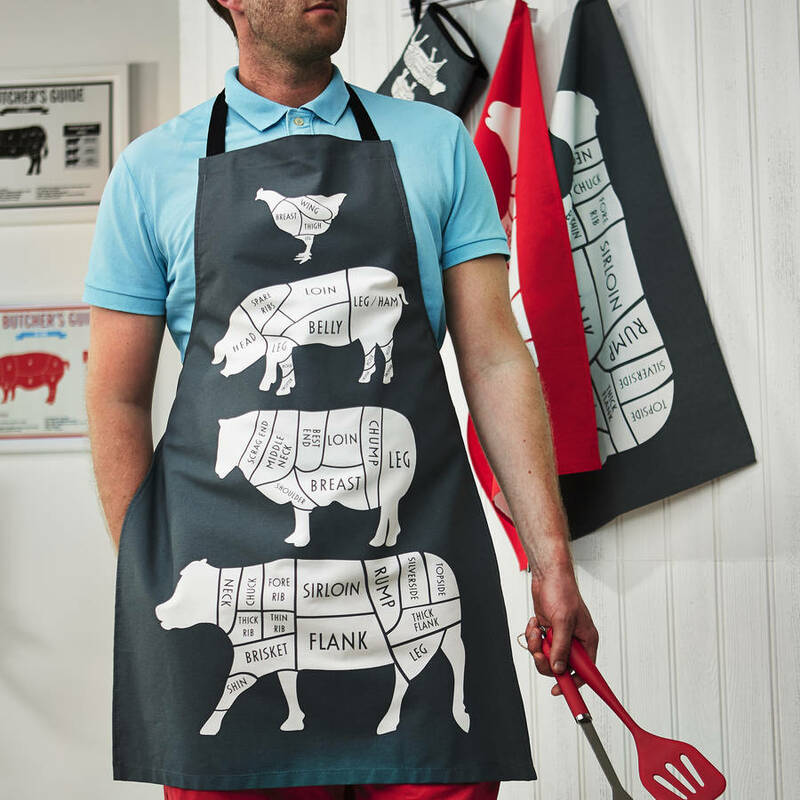 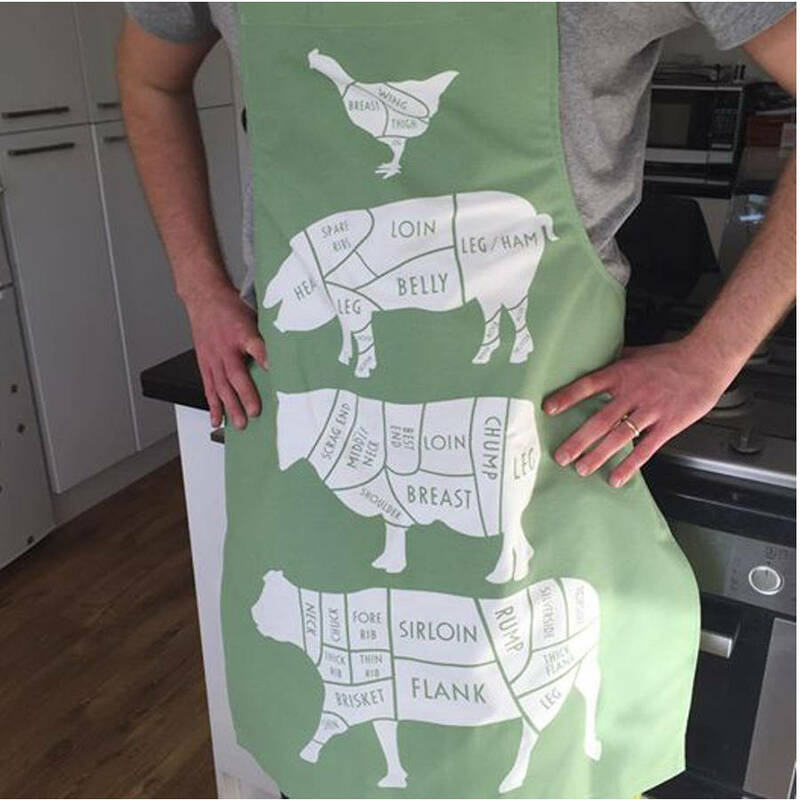 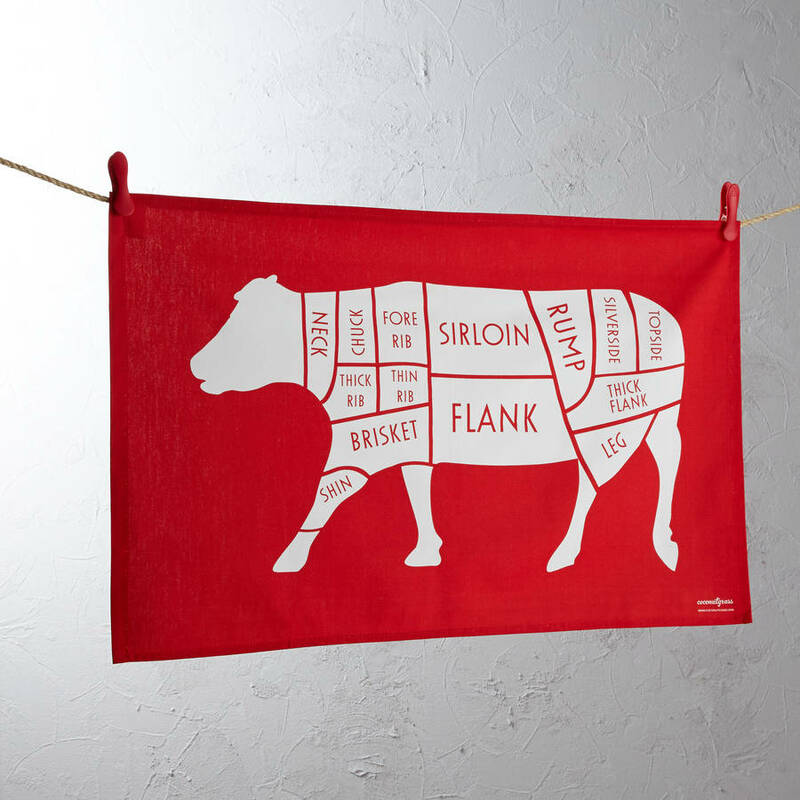 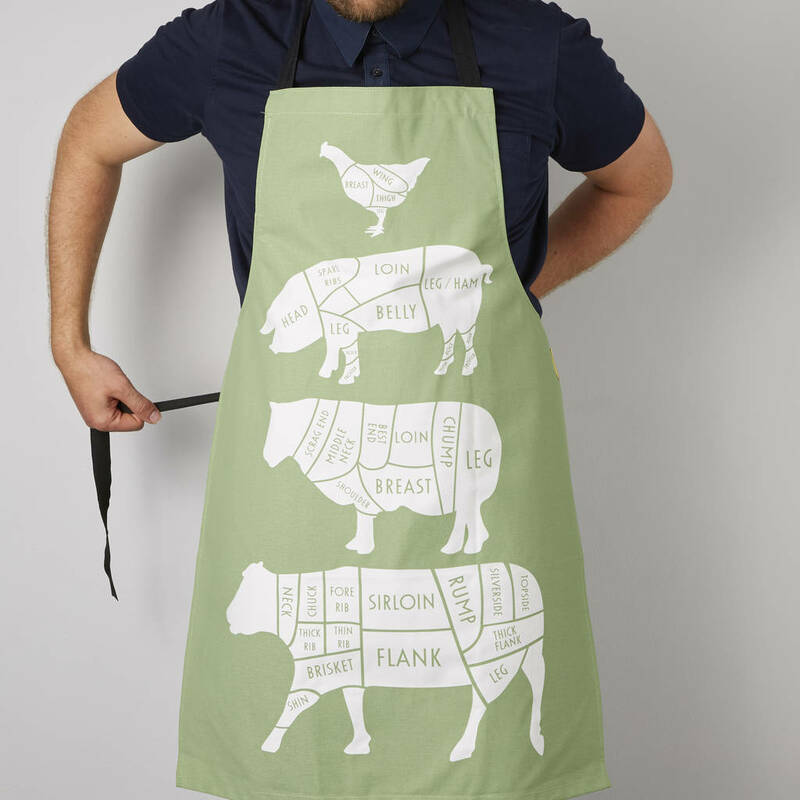 A stylish gift for barbecue kings, dads, carnivores and cooks, this butcher’s meat cuts apron features diagrams for chicken, pork, lamb and beef. 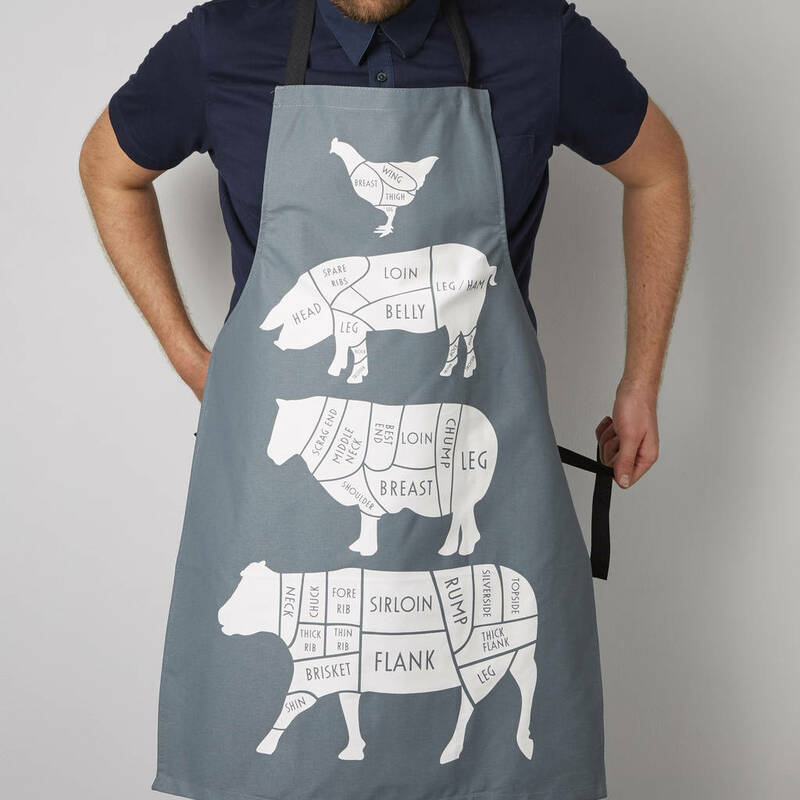 A great Apron for the meat lover! 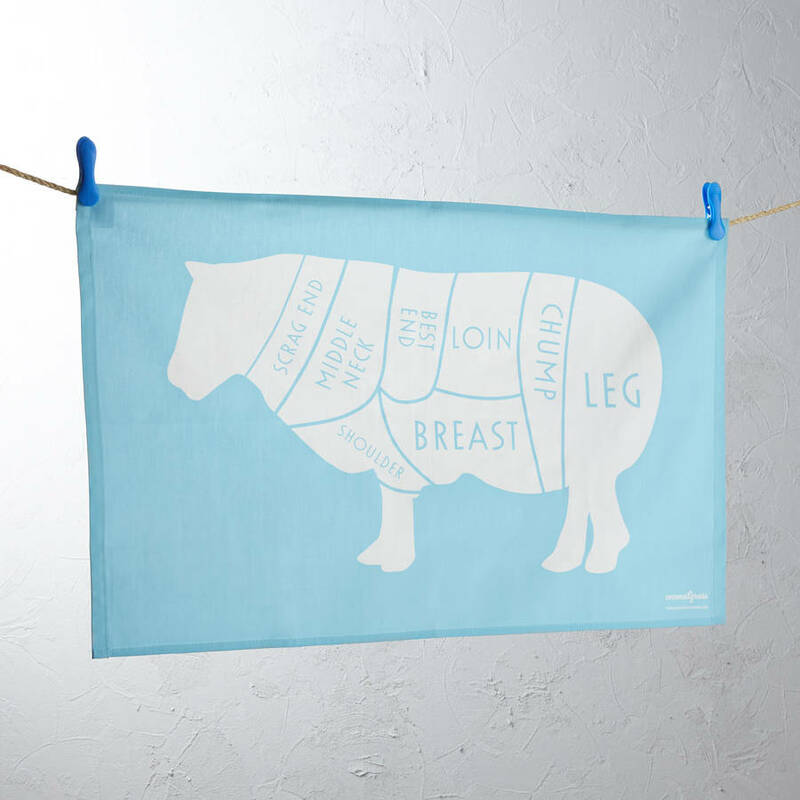 This is a striking design, and it looks great whether you’re cooking up a feast or simply hanging it on the kitchen door. 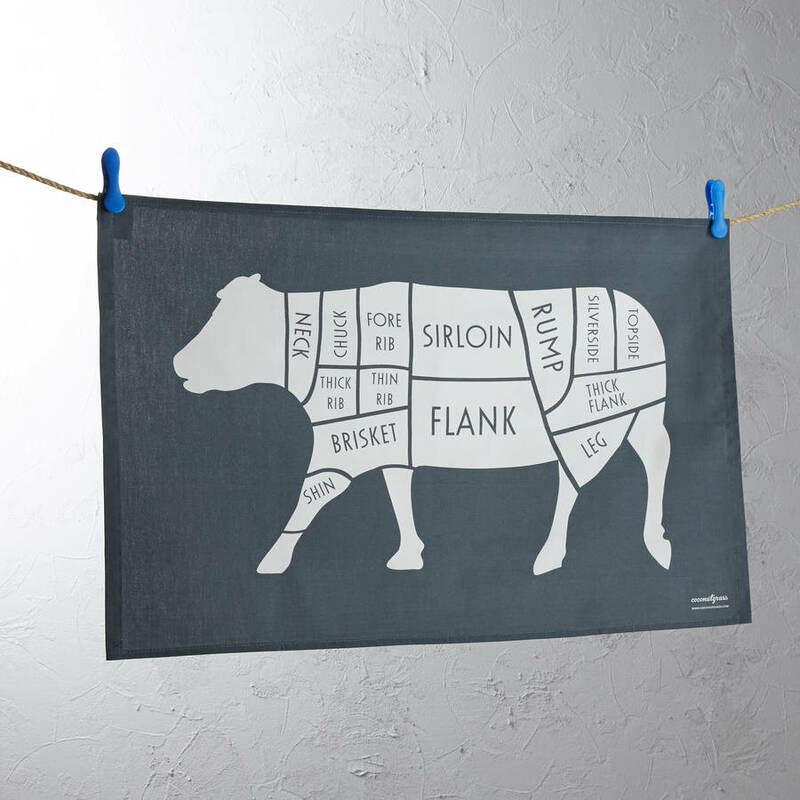 With the charcoal background and stunning white design, it’s eye-catching and a great conversation starter. 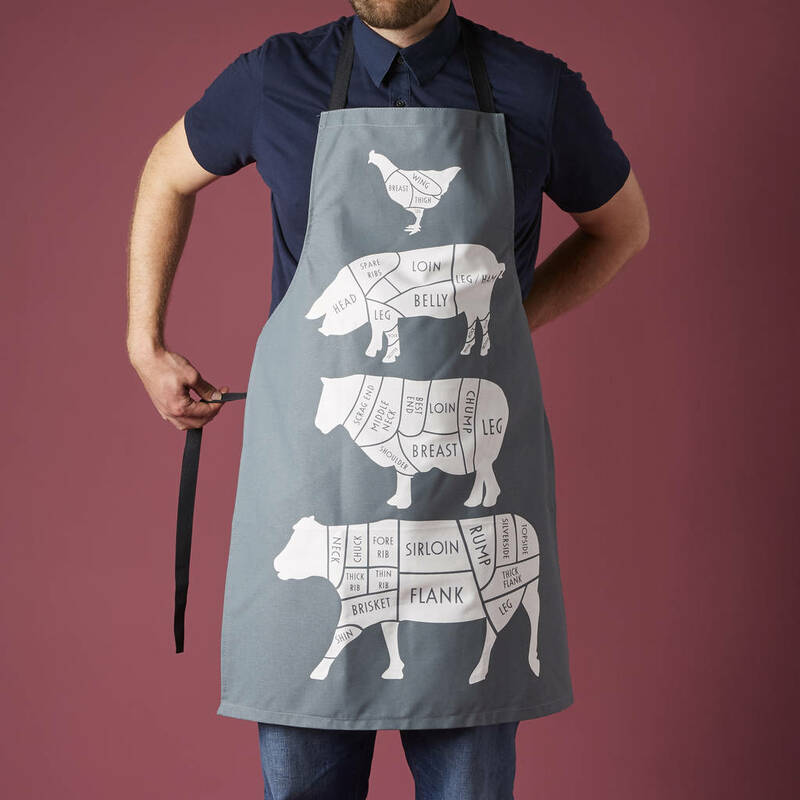 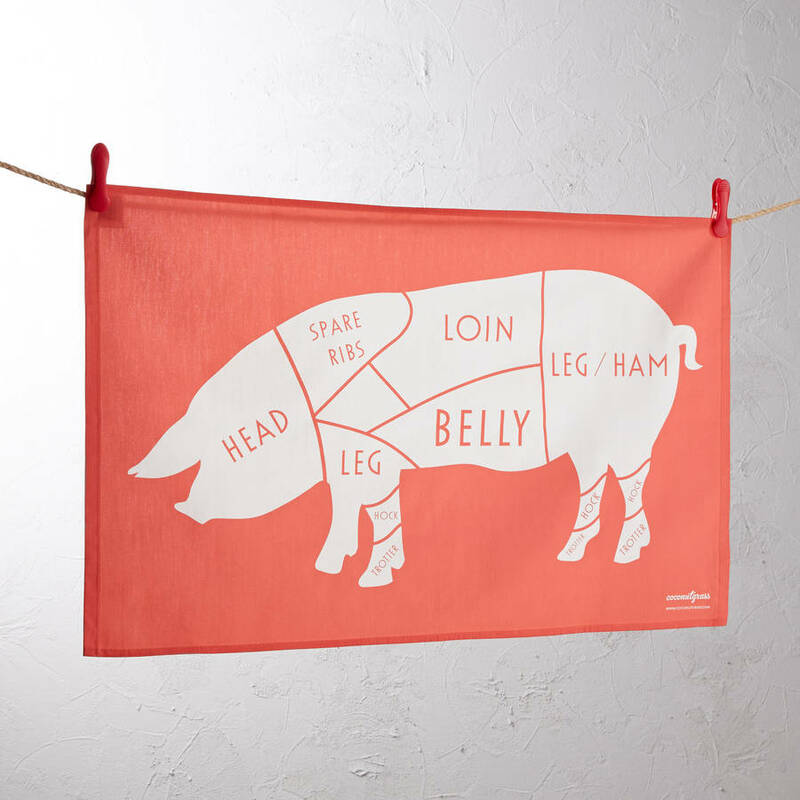 Our butcher’s design is a cool kitchen apron for men, chefs, gourmets and meat-lovers. For messy and creative cooks, it’s essential to protect clothing, and how better to do it with this meat cuts apron?! 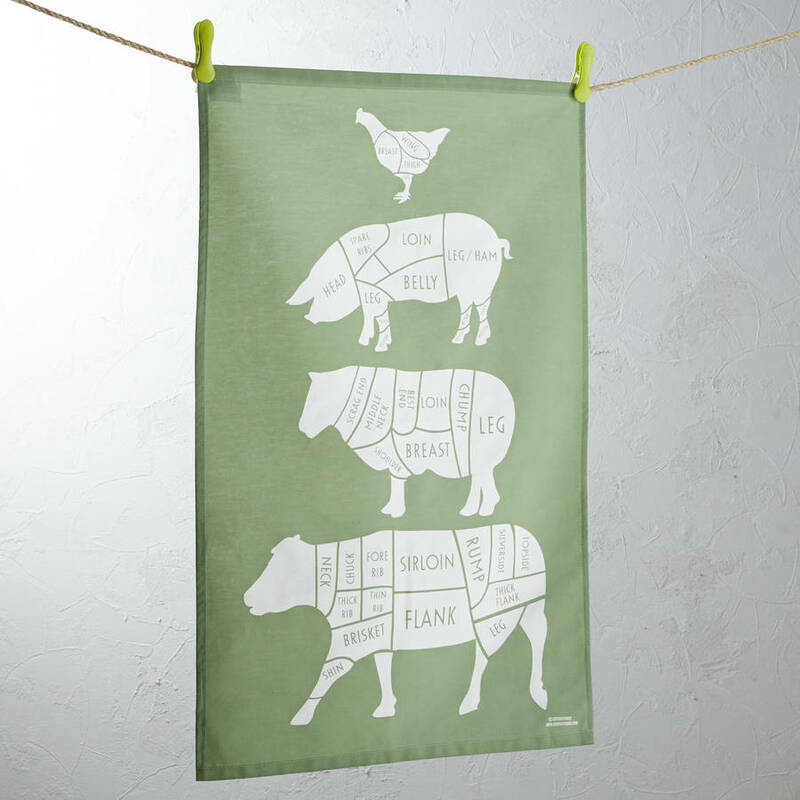 Matching tea towels are also available in coordinating or contrasting colours. 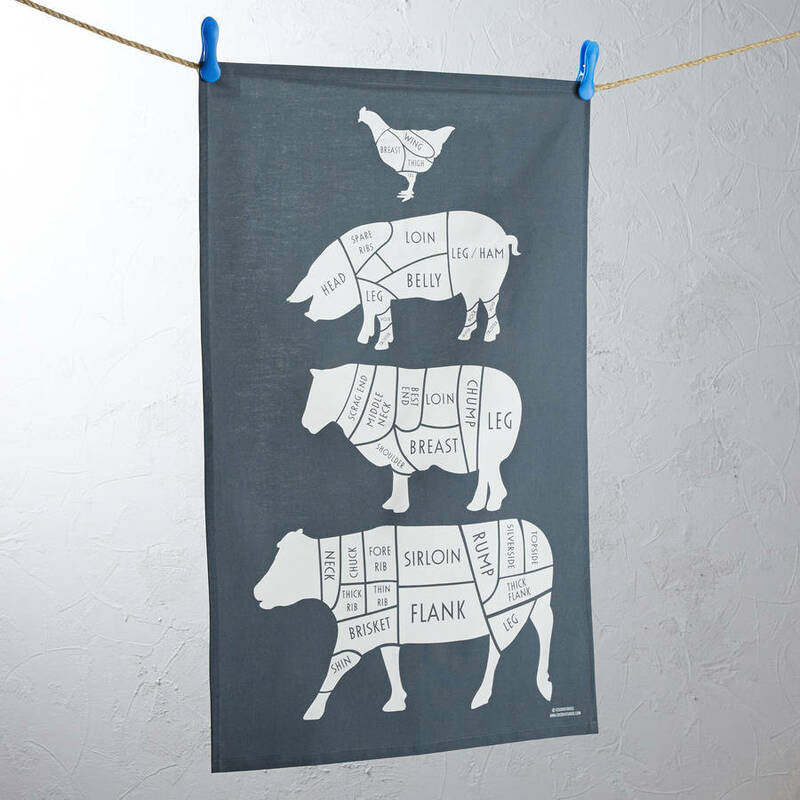 We also have a long version available separately.